As I've done more critiquing and editing, I've noticed certain trends creeping up repeatedly across a variety of texts and from a large handful of different authors. If they happen often enough, they become irritating - not bad enough to anger, but just enough to itch. You know, like that thing at the back of your shirt that has the washing instructions on it and flips out of your collar occasionally. Some shirts have especially grating ones and you have to cut them out. What are those called again? Of course, since we're discussing narrative structure, we're talking about speech tags - he said, she asked, he whispered, etc. Though I don't see a coincidence in speech tags and shirt tags bearing the same name. "I thought you’d be home for dinner," Sandy said. "I didn’t say that," Bill responded. "So where were you?" she asked. Sandy slammed the empty plate onto the table lit by the drippy remains of the candles. "I thought you’d be home for dinner." Bill stood sheltered by the darkness of the living room. "I didn’t say that." "So where were you?" Her voice shook as tears stole her words. "Out." He stomped up the stairs. The second example uses action beats to show who's speaking. Beats are the glorious alternative to speech tags. Not only do they do the same job, they enrich the story by adding setting or mood. Did you notice the characters say the exact same words in both examples? Which one told a better story? A couple of writers I've worked with said they don't know how to write effective beats. Others fall into comfortable ones like "she looked and him" or "he sighed" - not judging here, by the way. I'm totally guilty of using these. So where do interesting beats come from? Stories don't happen in a vacuum. The characters have to be somewhere. Chances are, they are doing something. Weave whatever they're doing into the dialogue. When The Fourth Descendant was still with my critique group, one scene my CPs loved involved two characters preparing dinner as they had a conversation. In the YA urban fantasy book currently with beta readers, this conversation occurs while my shapeshifting characters are flying. As she glided a few feet off the ground, Drake lowered enough to get her attention. "Erica!" She looked up, then lifted to Drake’s level. "Isn’t this amazing?" She nodded and flapped her wings, which rivaled Terry's in their span. Drake didn't recognize her as a creature he'd seen and guessed that like Terry, she was something prehistoric. She shook her head. "I've been hiding at the school. Since my family died. I didn’t know where else to go. Then I started changing and figured…" She stared at him, as if she hoped he'd finish her sentence. "You figured you were the only one like you." "Right." She banked slightly from side to side, weaving through the air. "Was it like that for you?" Notice that sometimes, the dialogue carries just fine without a beat or a tag. This gives your dialogue a faster pace and more punch, if needed. Also notice that throughout this post, I've discussed using tags or beats, not both. "I don't want to go to school today," he said as he poured milk over his cereal. My feeling is the tag is redundant in one hundred percent of these cases. If he's pouring the milk, he obviously said the thing. "I don't want to go to school today." He poured milk over his cereal. If you're in severe word cut mode, as many writers in the editing stage are, you save three words by going with the straight beat. Of course, this structure can also be a stylistic choice. But maybe ask yourself if the unnecessary tags are worth the added words. 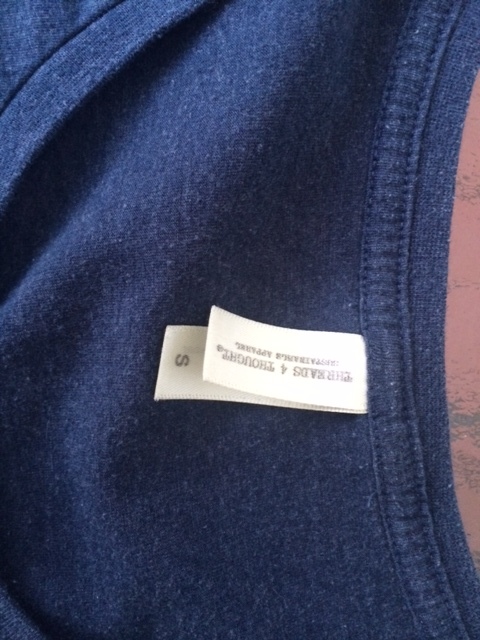 So that's the beat on tags. What's your feeling about them? Are you pro-tag or anti-tag? I, too, tend to prefer beats (or no attribution) over tags. To me, tags are an example of telling rather than showing, and showing is almost always preferable. Almost. But sometimes, especially in long conversations or dialogue with more than two people, I find a quick tag is just the thing. Too many beats and my characters start to feel twitchy. Too little attribution, and it gets hard to tell who's saying what. If I feel I'm jumping through hoops to avoid using a tag, it's probably better just to use the tag. I also love dialogue tags that convey a lot of meaning in a single word: "Sorry," Dru lied again. They have to be used very sparingly, maybe once in a story or several chapters, but for me they're worth their weight in gold when they hit just right. I agree that action beats can be super helpful. They allow your characters to morph from floating heads to full-bodied people, and transform your setting from a blank room to a detailed place. But I also think there are times when just a speech tag is needed. Especially if it's a fast-paced, tense conversation, where action beats are slower than "he said" or "she said." I'm of the impression that with your writing, you should go with whatever works the best. If the conversation can function without tags, great, go for it, but if a tag can do something, like clarify, or add effect, use it, but weigh its effectiveness against not using it. There aren't any rules that can't be broken if you know what you're doing enough, though who doesn't need more practice? There are times when I go completely tagless. Right out in public, no less, for everyone to see. I'm not proud of it, but there it is. Refreshing, I think, to have your characters parade their dialogue out in the open, letting it all just hang out. I'm not a member of a sans tag beach community or anything, and I haven't attended any of the parades... but I do enjoy gawking at a nice set of untagged conversations from time to time, and I'm not afraid to admit it. I'm so novice at this that I feel inadequate in responding ... BUT ... I do know that I am going to go back over Book One and fix up the tags. I felt like I was supposed to use tags and coming up with new ways to say "he said" was kind of a drag to getting the story out. I will get there yet. And when I do I will submit something for critique. I agree. I use tags in situations like these and for the same reasons. The narrative can feel choppy with a beat every other line. I'm with Sherry, Bethanne, and Amaruska. Too many action beats and it can seem as if my characters are nervously twitching all the time. On the other hand, sometimes the action beats flow naturally out of the ongoing action, as in Allison's excellent flying example. But sometimes a simple "said" or the like — which I've heard described as "invisible" to the reader (one absorbs them without even noticing) — is better than a distracting action beat. I think the advice to minimize dialogue tags is a good general guideline. It makes me think about what the characters are doing while they're talking, and encourages more lively description. (Allison's dinner-table rewrite doesn't just replace the tags, it adds a great deal of emotional undercurrent to the exchange.) But, like all such guidelines, it should be applied thoughtfully and not as a fetish. I mix tags and action beats. A lot of my readers got confused about who was speaking, even if the conversation was only between two people. There are some situations where one or the other works, others where both are needed. Tedna, when I went to school (oh, SOOOO many years ago) we were always encouraged to find alternatives to "said" or "asked" as wel as use adverbs. Now I am learning to mix my plain tags and use beats. Ah, the evolution of language. Gotta love it! "[the importance of the hook] not only as an opening line but as an opening paragraph, not only as an opening paragraph but as an opening page, not only as an opening page but as an opening chapter." I skip action beats when I see them. For me, these beats slow down the tempo of the dialogue. I use only one ot two at a time if its really needed. I don't like reading books without any or only a few tags. Whenever I do it feels like the author thinks the action is more important than the dialogue. And sometimes that's the case. Actions do speak louder than words. But if someone is leaning against a railing when they say an important line of dialogue, I'd like that line of dialogue to be emphasized, not the action that follows it. Tags have always been an annoyance for me. In grade school we had to make sure our tags never used the word "said." We could use any other verb: exclaimed, shouted, whispered, whimpered, lied, interjected, etc. But not said. "Asked" was pushing it. Then, like our cursive lessons, that rule went out the window as soon as I left school. "Said," and plain printed handwriting, were suddenly acceptable. I like to think the grade school rule was a way to challenge us and make us expand our vocabulary, but it left me feeling like "said" was dirty and wrong. I never liked using it and found it, and tags in general, to be a necessary evil at best. But with the advice of this blog post, I wrote something the other night and challenged myself not to use a single tag. I'm happy with how it turned out. I'm sure there would be times where a tag would be appropriate, so I won't go full anti-tag. But they're not nearly as necessary as I'd thought. I think it's important to mix tags and beats rather than one or the other. I think the lesson here is that using the same thing over and over again, as in beat, beat, beat, beat, or action, action, action, action, per paragraph needs some mix ups. Correct me if I'm wrong. It depends on what the focus should be. If the dialogue is the focus then go tagless or use short tags for the sake of clarity. To much action with each bit of speaking distracts from the conversation and adds emphasis to the stuff that's going on around it. When I do dialogue it is the most important thing going on. Therefore, I go tagless as much as possible and only use the other stuff for the sake of clarity or to add to the dialogue. For me, I use the rule of thumb that the most important thing is to keep the reader from being confused. I can't tell you how many stories I've read where I get lost because there's no tags or the tags aren't very specific. I'll admit, I do enjoy quick back and forth between two characters, just dialogue, pure and simple. But for the most part I try to ensure that my readers don't get lost in my attempts to describe a scene in an artistic way or be clever with different techniques and tricks. I think the other main factors have to be the flow and style of the story. I like my stories to have a seamless sense of fluidity whenever possible (unless the style demands otherwise), so if it calls for tags, I use tags. If it calls for beats, I use beats (or beets if it's a recipe...either way). However, if you want a general rule of thumb, I would have to say a mix of the two is what I would prefer, that way you're not using too much of one or the other, which readers tend to notice and it can become the horse fly to their unreachable flank (my audience is exclusively horses). I struggle with the tag issue. I am using beats much more than I used to, but sometimes feel like I really need a said or responded of some sort. Testing myself, I wrote a chapter without any tags recently, but when I returned a few days later I couldn't remember who was saying what. Needless to say, I packed it (overly) full of tags once I figured it out! This is going on my targets list, to balance my beats and tags better. I'm not sure I could live completely without tags, but it's something I definitely want to work on improving. Thank you for your excellent examples. I mix tags and beats. I think tags can be especially helpful when you want to convey how someone is speaking. "Point the light over here," I whispered. "Get off the roof!" the principal shouted. One thing that annoys me as a reader is when someone uses a "saidism," basically trying to avoid an echo of "said." "Well, you look it," she retorted. "I thought you?d be home for dinner." And that's still more effective than the original dialogue with tags. I've no quarrel with adding beats to dialogue at times, but they often get in the way of the story, especially when the situation is tense. Beats can interrupt the action and slow the story down to where the reader gets bored. In the example above, I don't need all the beats to tell me the woman is upset and the man is hiding something. For me, the only beat that tells me something I didn't know is the last one, "He stomped up the stairs." If we focus on every tiny thing a character does in every situation, the story we're trying to tell will get completely lost. There's a time and place for everything, including both tags and beats. The trick is to use them both sparingly and effectively. I agree with your premise, although I think you're confusing two problems. One is the overuse of tags, and the use of tags other than "said" or "asked." The other is the use of what you call beats. That is, gestures, expressions, and action in the course of the dialogue. A dialogue tag (said/asked) should only be used to the extent necessary for the reader to keep track of who's talking. With rare exceptions, use only "said" or "asked." I can tell it's a reply, command, lie, etc. from the context. As to beats, one great way to go without a tag is to add an expression, a gesture, or some kind of action. But, neither a tag nor a beat should be on every line. It becomes tiring. There's no rule for it, and I suppose it depends on what's going on, but I find that using a tag or a beat every third or fourth line sets a good pace. Not using any tags or beats for several lines of dialogue can be used to good effect, but should be done sparingly. Otherwise, you end up with talking heads. So, as in all things relating to writing, there has to be a balance. There has to be a balance between showing and telling; giving description, or not; the use of dialogue as opposed to prose; and the use of tags and beats within dialogue. You don't want to have the character doing something, whether it be a gesture, expression, or action, just to have them doing something. It's got to serve a purpose. I agree. If it isn't absolutely necessary, cut it out! I find tags very annoying as a reader. They slow down the story. Good writing requires great editing! I'll add my two cents to this most worthy conversation. I read somewhere that the tag said, is invisible to the reader but when it's missing, it becomes glaringly absent. And others, like one I almost used— she blithely spouts are a no, no. I don't like action beats especially if used too much. I think too many beats show a writer who is inexperienced. When I write dialogue, I mostly use said or asked.